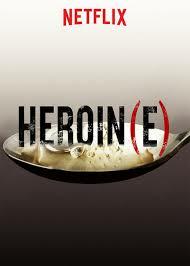 Brief Synopsis – Documentary that follows three local women trying to fight the opiate addiction rate in the city of Huntington, West Virginia. My Take on it – This is my 3rd of 5 reviews of films nominated for Best Documentary Short at the Oscars this year and it is in my #2 spot when looking at the list of 5. This is a moving film because it deals with a very timely issue and tries to show how it could be possible to combat this epidemic and help rehabilitate those already affected by it. This film shows that there is hope for a future for people who choose to seek rehabilitation. The footage shown in this film can be quite graphic and “in your face”, but that just helps them get the point across as to how dangerous these drugs are and why it is so urgent to try and find a way to help those addicted to these deadly drugs. I liked the way that this film branches out and gives us numerous perspectives of people trying to help those affected because it shows that the attempts to rehabilitate are coming from various sources and not just one lone advocate. If this film manages to win the Oscar, I won’t be disappointed at all because I believe it also would be quite a worthy and deserving winner. Bottom Line – Very impactful documentary because it takes a very timely issue and tries to show that there is hope ahead for those trying to recover. The footage shown can be quite graphic and in your face but that actually helps bring home the message of how important it is to make changes in order to help those addicted to these deadly drugs. Very timely issue- yes. But I found the telling of it very unaffecting. I’ve seen news pieces, 60 Minutes pieces, fictionalized plots on TV series – all of which had more of an impact on me than this doc. I’ve seen all 5 and it placed 4th for me.